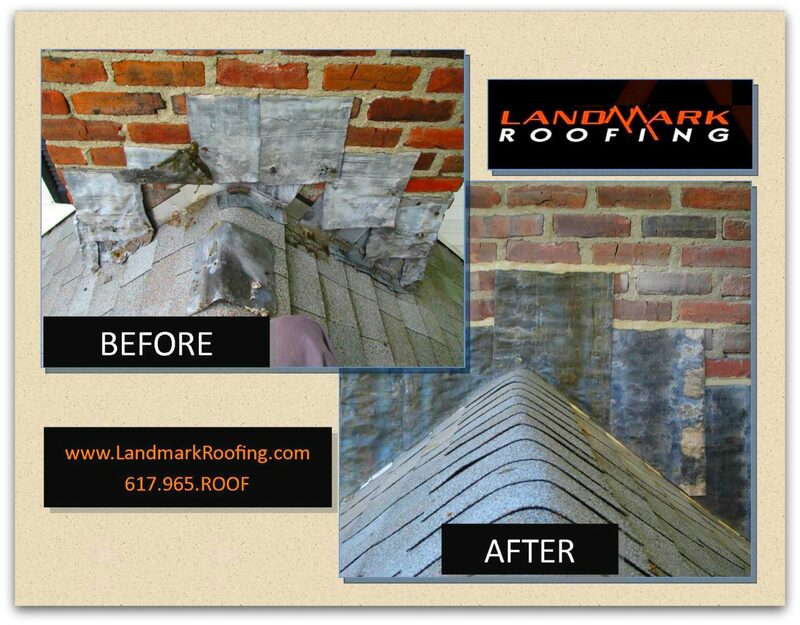 These photos were taken from a chimney project in Wayland, MA. The before and after photos of the chimney counter flashingsare at the lower elevation. 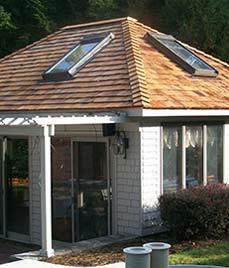 This is where the chimney meet the asphalt shingle roofing and the vinyl siding. 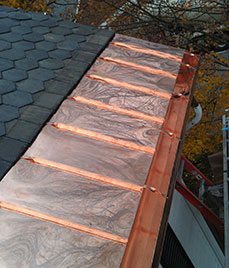 Proper installation of chimney counter-flashings at roof penetrations can not be overstated. These roof weaknesses are most often where leaks and other issues will occur. On chimneys, the counter-flashing may involve cuttling into the brick mortar or stone of a chimney or wall. A properly flashed chimney is protected by the overlap between the base flashing and the counter-flashing. 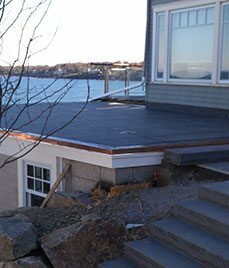 At Landmark Roofing, we provide new construction and repair services. 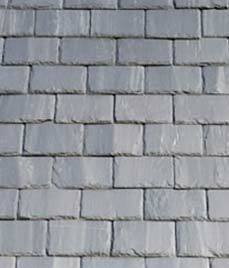 We specialize in slate, copper, shingle and flat roofing. We offer related home remodeling services such as masonry, gutters and historic restorations. With over 65 years of combined experience, we have earned a reputation for giving clients what they ask for and getting projects right the first time. Our industry expertise allows us to provide the highest quality roofing and renovation services while keeping costs low.